All of us are fully aware of PAN Card importance. Whether we need it in service sector related works or if we own a company, a PAN Card is one of the must-have legal documents. 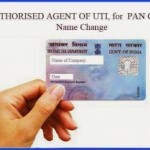 Paying taxes becomes a lot easier and beneficial when using PAN Card. The Income Tax Department has simplified the complete process for applying a PAN Card compared to the earlier hectic method. So, even if you lose your PAN Card somewhere, you can easily get the copy /duplicate of your PAN Card in a couple of simple steps. Now, download the available form. Note- this is a different form than the one you had filled earlier (the first time). Other than the basic details, the form will also ask for the details of your PAN Card. In case you have a copy of your lost PAN Card, then attach it. If not, then you can simply click on the link and receive all information related to your lost document. Fill the downloaded Form correctly and attach a passport size photograph. Fill all the details using a black pen and in capital letters. Submit the form to your local TIN centre with a Demand Draft or cash of Rs. 96/- (inclusive of all taxes). Your PAN Card should arrive at the given address within a few weeks. In case there’s more delay, contact your nearest PAN Card centre to know about the reason. My fathers pan card had lost in jan 2016,then we filled rapplication for duplicate pan card,thrn the agent gave us information that it dispatched 19april,please check it in post office,from that time we had not get it….what can i do?Is there any rule of address on the adhar card isvthe delivered address?